Aberdeen, NC – November 15, 2018 – Meridian, an industry leading manufacturer of kiosks and digital signage solutions is proud to announce their partnership with Samsung SDS America. Samsung SDS America (SDSA) is the U.S. subsidiary of Samsung SDS, a global software solutions and IT services company. SDSA provides purpose-built digital technology solutions in the areas of secure mobility, and advanced analytics. Together, Meridian and Samsung SDSA are combining forces, and areas of expertise, to produce digital out-of-home (DOOH) signage solutions. The digital signage solutions will be implemented throughout a variety of locations and industries across North America. Once complete, the digital signage solutions will be used solely to display targeted advertisements in locations with a high volume of customer traffic, such as shopping centers and retail outlets, allowing advertisers to identify consumer behaviors and more accurately measure campaign efficiency. Expertly designed, the solutions will be able to provide advertisers with both media metrics and a comprehensive understanding of audience segments and their movement patterns throughout the sales cycle, based on advertisement exposure. “We are excited to team up with Meridian to provide media publishers and brands with intelligent digital signage that provides ‘on the go’ audiences with highly relevant and engaging information to positively impact sales and brand loyalty. These new intelligent targeting capabilities present a major opportunity for unprecedented creativity and innovation in the DOOH industry”, according to Scott Koo, CEO at Samsung SDSA. Meridian commenced their partnership with SDSA in 2017. 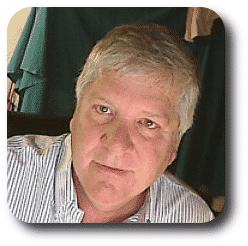 However, together the two have a combined 50 years of experience providing digital hardware and software solutions to companies spanning the automotive, financial services, retail, and digital out of home industries, as well as government entities. “We look forward to continuing to partner with Samsung SDSA to create cutting edge digital solutions,” said Gilder. Meridian is a fully integrated manufacturer of indoor and outdoor kiosks, interactive digital signage, and self-service software. As a complete end-to-end self-service innovator, Meridian develops products and services all under one roof, providing greater efficiency, and lean, high-quality results. Learn more about Meridian’s digital signage and software at meridiankiosks.com. About Samsung SDS America, Inc.
Samsung SDS America (SDSA) is the U.S. subsidiary of Samsung SDS, an $8B global software solutions and IT services company. SDSA helps companies optimize their productivity, make smarter decisions, and improve their competitive positions in a hyper-connected economy using our enterprise software solutions for secure mobility and advanced analytics. For more information on Samsung SDS America, please email [email protected]. AURORA, Ill. – November 14, 2018 – Peerless-AV®, an award-winning designer and manufacturer of the highest quality audio and video solutions and accessories, is pleased to announce the launch of the newest level of its Certified Installer Training Program – the Diamond Level. This level, entitled, “Video Wall Mounting Systems for Direct View LED Displays,” is led by long-time industry experts who have the sales application and engineering experience to make every job successful for those who attend. 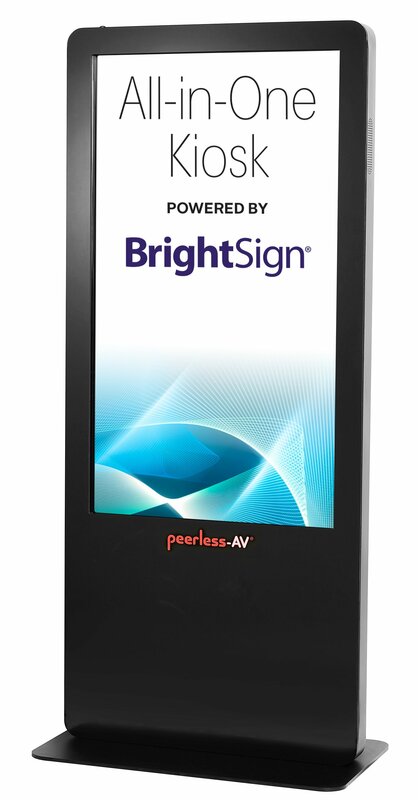 To learn more or to schedule a training session, visit www.peerless-av.com/en-us/training, call 800-865-2112 ext. 400, or email [email protected]. Visit any college or university academic building and you’ll most likely be overwhelmed with an abundance of technology. Classrooms are digitized, libraries are home to countless computers, cameras, and equipment, and if you asked any student what kind of technology they had in their bookbag, their list would probably include some combination of a laptop, tablet, and smartphone. Odds are, that laptop, tablet, and smartphone also house a few online textbooks, and sometimes even the curriculum for an entire semester-long course. There’s no denying that students and professors, alike, are more tech-savvy than ever—they’re incorporating digital learning into their lectures, presentations, homework, and projects. 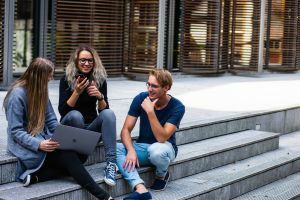 However, while many colleges and universities are incorporating technology into the learning environment, many are just beginning to invest in technology outside of the classroom. 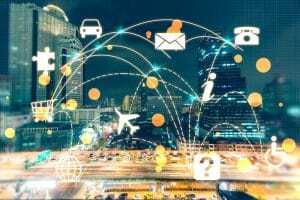 While technology is certainly a useful learning tool, universities and colleges can benefit greatly from exploring other innovative ways to incorporate it into other aspects of their campus. Digital signage and kiosks utilize the technology that students, professors, and visitors know and love to promote information sharing, efficiency, and accessibility across campus. College and university campuses of all sizes are home to a plethora of events on any given day. From clubs and greek life, to sporting events, professional organizations, and career fairs—it can be difficult for students to stay in the know with all that’s going on. Digital signage, placed strategically throughout campus, can serve as a unique information hub for students to reference as they’re walking from class to class, or planning their afternoon or weekend. While most colleges and universities offer an online portal on which students and parents can pay tuition and fees, those sites are typically only compatible with debit or credit card payments. Tuition and bill payment kiosks, on the other hand, allow students to make payments with cash, check, credit, or debit card at their own convenience. The solutions are both secure and user friendly, allowing them to be placed in common areas, such as student unions, dining halls, and administration buildings, where students have 24/7 access. Though college and university campuses vary in size, they can still be difficult to navigate—especially for visitors or new students. Wayfinding kiosks can be strategically placed throughout campuses in central locations and designed to include interactive maps, directories, and listings that provide additional information about the selected destination. They can also be equipped with printing and mobile integration capabilities, making it even easier for students and visitors to find their destination. Students and on-campus staff use their ID cards for a multitude of daily tasks, from swiping into buildings, to buying food in the dining hall, and checking out materials or computers from the library. So in the instance that someone loses their ID card, they’ll most likely want to replace it immediately. While most colleges and universities have an office where students and staff can replace their cards during business hours, banner ID and card printing kiosks allow for 24/7 access. Students and staff can simply take their picture, pay for, and retrieve their card all through the kiosk and in a matter of minutes. Whether it’s visitors and prospective students checking in for a tour, or current students checking in for an academic advising or tutoring appointment, digital check-in kiosks allow users to bypass the traditional check-in process at the administration desk. Users are able to interact with the kiosk to check in, confirm their information, and electronically complete any necessary documentation. Check-in kiosks also enable university employees, who would have previously been tasked with the check-in process, to be available to answer questions and provide any necessary guidance to visitors or students. College and university classrooms and libraries are home to some of the latest and most advanced technology, but many schools are just beginning to take the first steps toward fully integrating technology throughout campus. Digital kiosks and signage are a great place to start, as they incorporate the technology students, professors, and visitors already use in other aspects of their everyday life to simplify their on-campus experience. To learn more about Meridian’s digital kiosk and signage solutions, visit meridiankiosks.com. possibility of downtime would be minimized. contributing factor for the decision to move forward with the company. concessions are and the integrations were spread across a few acres. After the installation, the venue felt completely different. 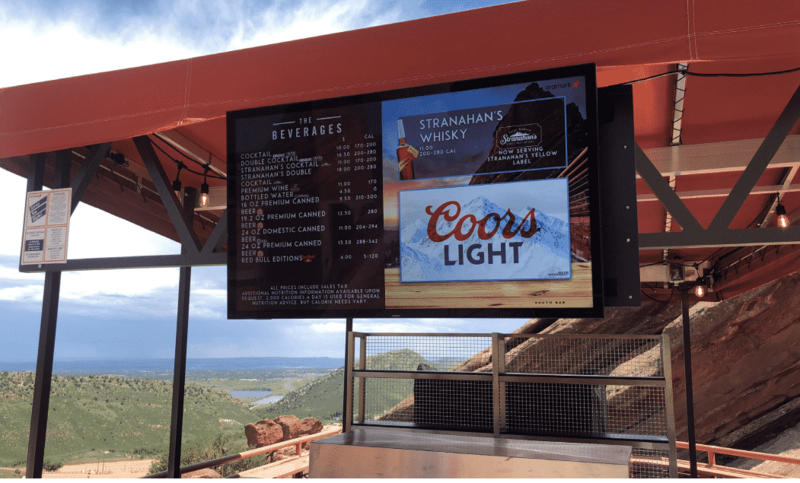 The enhancement of digital signage has elevated Red Rocks Amphitheater to a whole new level. solutions have been deployed in all major verticals including: travel, hospitality, sports, QSR, retail, corporate and education industries. Visit www.pinghd.com or www.engagephd.com to learn more. Connect with Ping HD via social media on Twitter, Instagram and Linkedin. 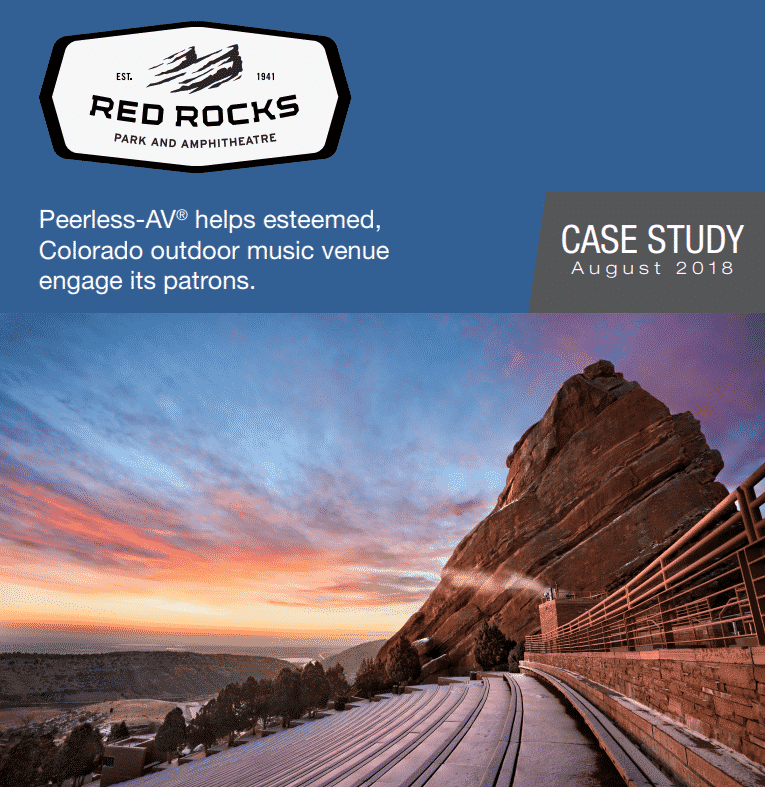 a full-scale global deployment or custom project, Peerless-AV develops meaningful relationships and delivers world-class service. In partnership with Peerless-AV, you are trusting an award-winning team of experts who will support your business every step of the way. For more information, visit peerless-av.com. AURORA, Ill. – February 5, 2018 – Peerless-AV®, the award-winning designer and manufacturer of the highest quality audio and video solutions and accessories, is excited to introduce its newest video wall mount, the SmartMount® Supreme Full Service Video Wall Mount with Quick Release (DS-VW775-QR), at ISE 2018, Hall 12, Stand F90. Designed with the needs of integrators and end-users in mind, the DS-VW775-QR offers innovative, time-saving installation and maintenance features, including tool-less micro adjustment, easy hang wall plate, quick release mechanism, and reusable spacers for both portrait and landscape applications. With the addition of tool-less lateral micro-adjustment, the DS-VW775-QR offers 1.5″ of fine tune adjustment on each of the X, Y, and Z axes. The mount also features prominently colored adjustment knobs that can be easily located by installers during set-up and future video wall maintenance visits. Plus, serviceability is easier than ever before with the press to release pop-out feature, providing quick and convenient access to a recessed display without searching for hidden pull strings. The gentle release mechanism requires less pressure to pop-out a display than other video wall mounts, giving peace of mind that the delicate pixel structure will not be damaged from pressing too hard on the display front. The standard version DS-VW775, launched in 2016, has the same feature set as the new DS-VW775-QR, but offers unique red pop-out levers above and below. 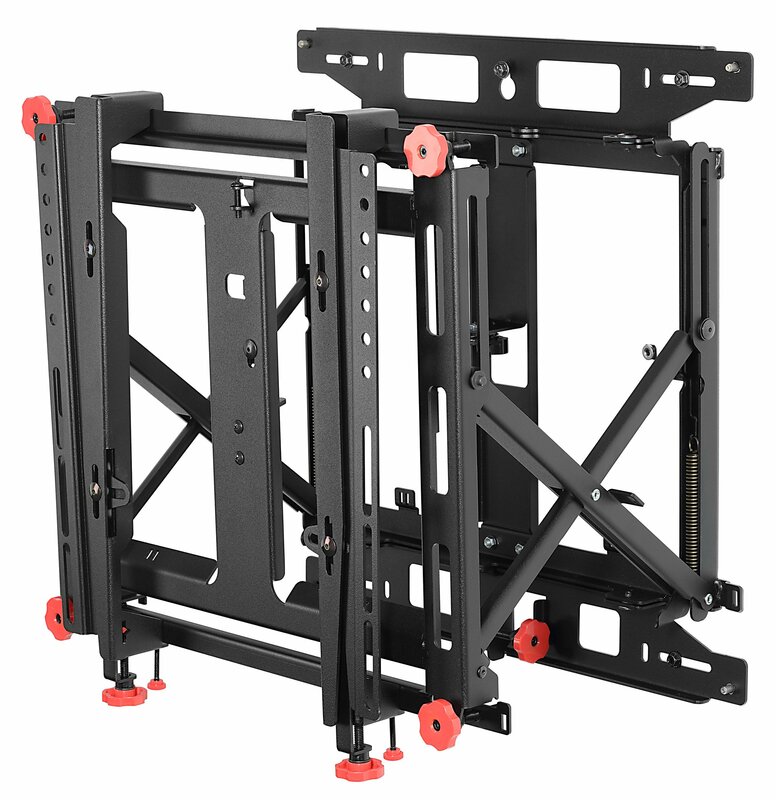 When the mount is fully extended it offers an extra 2″ of service space from the wall compared to the SmartMount® Full-Service Video Wall Mount with Quick Release (DS-VW765-LQR/PQR). The DS-VW775-QR and DS-VW775 support 46″ to 60″ displays with a maximum load of 56.8kg (125lbs) and VESA pattern up to 600 x 400. Included security hardware makes the DS-VW775-QR suitable for public environments to deter tampering and theft. Ljubljana’s new InterContinental hotel is engaging visitors on the greenest, most user-friendly digital display – Visionect’s Place & Play device. New digital signage “player” which is WiFi and digital ink is kind of cool. Extremely low power. LAS VEGAS, Nev., August 1, 2017 —Digital Signage Resolutions (DSR) announces Designate®, its turnkey digital signage solution for easy, affordable and reliable digital signage. DSR has partnered with Shuttle Computer Group for hardware and Xibo for software to create Designate, which is available in three service options: Designate Full Service, Designate Self Service and Designate On Demand, available in both Windows® and Android® platforms. DSR provides the gamut of digital signage services including in-house content creation and design, digital media players, content management systems (CMS), managed services, and hosting services used in a wide range of applications like retail, restaurant, casino, corporate messaging, wayfinding, etc. Digital signage has become ubiquitous for advertising, menu boards, gaming information, employee data, maps, and more. Designate Full Service: DSR works directly with users to determine which combination of products and services is best for their application. DSR chooses the appropriate Designator™ Media Players, configures the CMS and loads content based on customers’ needs. This option is a plug-and-play solution for companies that have no experience or limited resources. Designate Self Service: Users purchase Windows® or Android® Designator media players and a subscription to DSR’s Designate Cloud CMS. They configure the CMS and load and schedule content that is directed to the appropriate Designator media player and display. The Designator media player attaches to their monitor or distribution points, users connect to the internet, and content is automatically uploaded to the display. Designate On Demand: This option provides a cloud-based CMS solution for those who already own media players. Users load Designate software onto their players, purchase a subscription to the Designate CMS, then connect their displays/digital media players to their CMS and display content in minutes. A02A: supports a single display at 4K/Ultra HD with a fanless design to cool its Rockchip processor. A VESA mount and multiple storage choices make this unit a great place to start. CEL02U has a new elegant, space saving design and can attach directly to a monitor with a standard VESA mount, for an uncluttered workspace or all-in-one commercial application. CI30SE supports two independent displays, and its heatpipe cooling system and smart fan ensures reliably cool performance for long operation. It has many connectivity options for increased installation flexibility. CI5170 is designed for high-performance vertical markets; this slim PC has an Intel® built-in graphics engine for crisp, action-packed, clear 4K/Ultra HD video playback. It also supports three independent screen displays and is easily integrated into diverse business environments. Designate is powered by Xibo, a powerful and reliable open source digital signage solution. The Xibo CMS is the core component of the Designate solution; it plays the role of a central management interface where content is created, designed, shaped and scheduled. Based in Las Vegas, Digital Signage Resolutions provides affordable and reliable products and services that make implementing and sustaining eye-catching digital signage easy. The company also offers exceptional, responsive, and thorough customer service. Its founder, Laura Gray, has 20+ years of experience in digital video and graphics content creation, distribution and management; her team of experts now focuses solely on digital signage. For more information, visit www.digitalsignageresolutions.com. This addition created an endless aisle by allowing customers to shop the store’s full stock in-store, ship to home and make secure payments using EMV card readers, thereby decreasing the risk of losing a potential sale due to an out-of-stock or unavailable item. Credit: this is a kiosk designed and built by Olea Kiosks. Deployed many of them across DFW in 2016 and 2017. News from our member Evolis which provides kiosk card printers. Kiosk manufacturer, integrator and software developer Meridian will introduce turn-key digital signage software application to market at Digital Signage Expo in Las Vegas this week. Meridian (http://meridiankiosks.com), the Customer Experience Leader in self-service solutions, announced today the release of InterAct, a highly configurable and easy-to-use, interactive digital signage software application. According to Meridian, InterAct is a standalone, off-the-shelf software solution built on the powerful Mzero self-service software platform. It offers a simple content management system that is highly flexible. Available as a software package for use on existing hardware, or bundled with ready-to-ship Meridian kiosks, InterAct “was designed with the end user in mind,” according to Meridian Director of Software Paul Burden. The InterAct application is built on Mzero Platform, Meridian’s industry-leading, securer self-service software, which provides system performance management, system security, and a wide range of component support. InterAct also adds extra value for businesses by enhancing the customer’s experience and providing a revenue-generating advertising platform that is highly flexible and easy to configure. InterAct’s highly engaging and intuitive interface quickly leads users directly to the information they are searching for. Businesses can easily organize the content as desired and the software’s flexibility allows for straight forward integration of videos, graphics, SMS, QR codes and interactive maps. After deploying custom interactive digital signage solutions for customers, Meridian developed InterAct to answer the increasing demand from clients for an off-the-shelf, scalable digital signage solution in retail, tourism, and media/entertainment among others. Meridian will be adding a print-on-demand option to InterAct this spring. To engage with InterAct in person, stop by booth 2634 during DSE at the Las Vegas Convention Center on Tuesday or Wednesday. Learn more about InterAct by visiting http://meridiankiosks.com/interact. About Us: Meridian is the Customer Experience Leader in self-service solutions, a fully integrated manufacturer of kiosks and interactive digital signage, and the developer of the Mzero software suite. Leveraging over 25 years of industry experience, Meridian specializes in the design, engineering, fabrication, assembly, integration, deployment and support of productized and custom solutions. Meridian delivers high quality self-service experiences at scale for industry-leading companies, partners and their customers. Learn more at http://meridiankiosks.com. Many have written and ranted a few times about the dubious market research reports that get generated by research factories in India – companies that produce expensive reports on pretty much any industry they can think of. The stuff is almost valueless, but still gets reproduced and quoted by online publications and by companies who don’t bother to look into the validity of the research. But there is good, solid research out there, and one of the biggest research companies around – IHS – does a detailed look at the market. So … I decided to grab the most recent market data about the digital signage market and turn it into an HTML5-driven interactive chart (see below). What’s great about this, I think, is that rather than a flat chart with all the bars and numbers for all the categories, you can view this in two variations, by category, or by total. This is slightly different from what IHS publishes, which includes the digital out of home industry’s advertising revenues. There could be a very lengthy debate about whether DOOH should be included, but I say No. The DOOH industry uses digital signage technologies, but throwing ad dollars in the mix doesn’t fit, to my mind. I have created this interactive chart in HTML5 so it is, first, interactive, but also so that it is web-ready and embed-ready. Feel free to drop this on your own website as a reference tool. The embed code is below the chart. Gain access to our newest signs. FWI’s gallery highlights visual communications solutions around the world. See client signage in action and how it’s being used to transform communications in 15+ industries. Located in the world famous Lower-Downtown Denver area, affectionately known as LoDo. The Soiled Dove offers a selection of entertainment, ranging from premier local talent to national recording artists in all styles of music. today AOPEN announced three new commercial Chrome OS devices that will add more durability to digital signage. By working with AOPEN, we can offer more rugged hardware equipped to handle harsh conditions — like a hot and greasy back-of-house line at a restaurant. Digital signage requires additional considerations for successful deployment. These guidelines will help you make the most of your screen or kiosk designs.